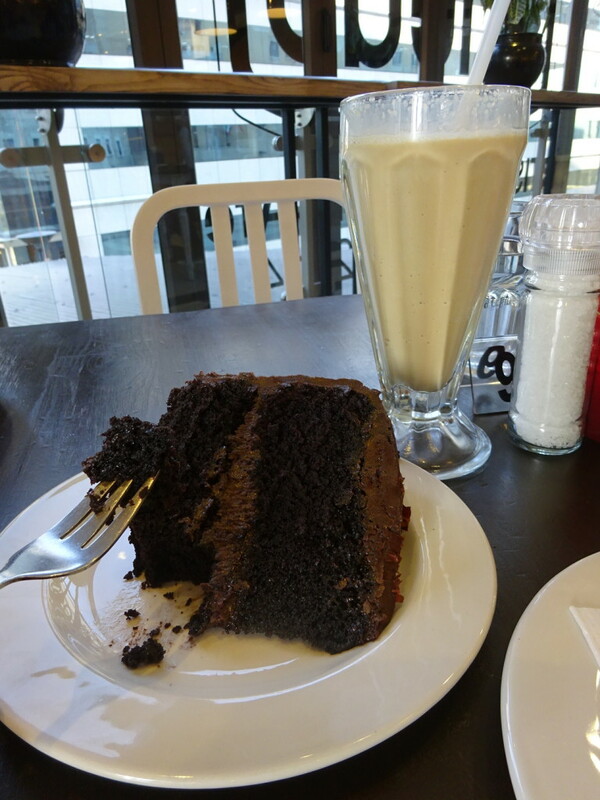 Posted on August 3, 2015 by No Map Required Posted in Dessert, Places, South Africa	. Here’s to the humble milkshake! 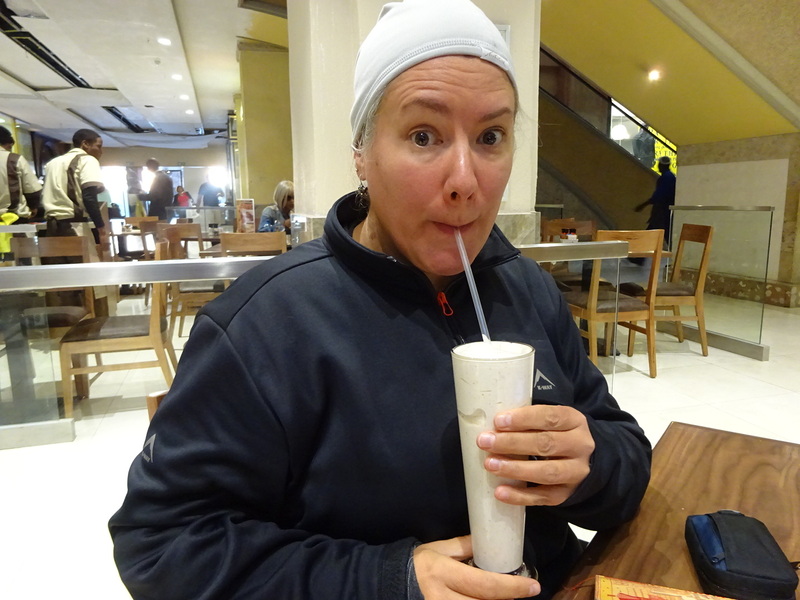 South Africa seems to have a love affair with milkshakes and suddenly I do, too. It was on the menu at the fabulous Royale Eatery in Cape Town: Wine, Milkshakes, Beer. As I ordered a glass of wine on our first visit, the waitress was quick to tell me that the milkshakes were where the action was. I thought it was because Royale was a burger place…yeah, sure, milkshakes. But since then we have seen them on Every. Single. Menu. in Cape Town…and now Joburg. See? 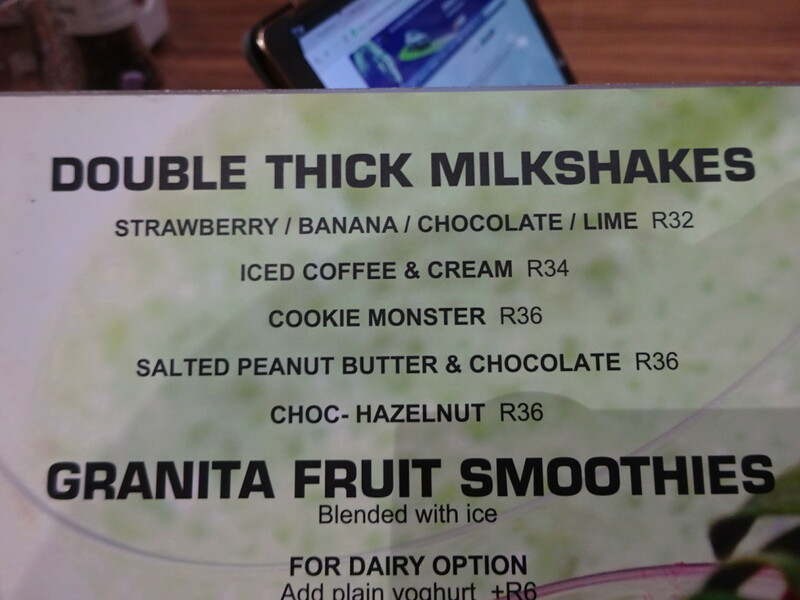 Every menu in South Africa has a required Milkshake section. After seeing them on so many menus, I grew curious and finally bowed to temptation. The first was the Nutella milkshake at a coffee shop. Yes, a coffee shop. Even coffee shops here have a milkshake menu! Gotta say it was pretty much divine. I mean, c’mon, Nutella in a milkshake form? How could it be anything else! Then I didn’t have just one, but two at Knead, a bakery and brewery (milkshakes in a brewery!) here in Joburg. I had one coffee flavored and one dark chocolate mocha. To be fair it was in two consecutive days, but still…a bit gluttonous. No doubt there’s a pint of pure, creamy, premium ice cream in each of those there Knead milkshakes. Can you can see how this could turn out very, very bad? I’m now on a milkshake fast, but ohhh is it hard! Perhaps they aren’t the most exotic, but they have been some of my most lusciously delicious desserts of the trip. 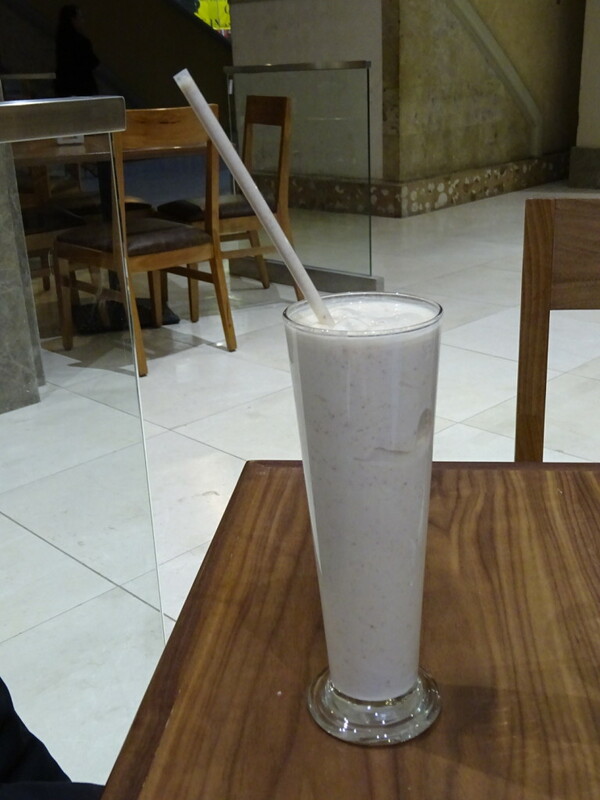 Now, I think my milkshake fast is complete (I’m only human, y’know!) and we are headed out to ‘Latte-licious’ …nearly guaranteed to have an entire page of milkshakes. I don’t care if I’m freezing, pass me the peanut butter chocolate milkshake…I have a fast to break. « LEGO – The Art of the Brick! OMG…..a hat AND coat? Now those were COLD milkshakes! Hmmmm…is it winter there? With the sweltering heat here, coldness is just a dream…..
Yep, it is indeed winter here in the Southern hemisphere…and it’s been mighty cold! Plus, most of the homes here don’t have heat! Sometimes we’ve had to go with the molten lava cake instead, just to warm up! Now if we could just get coffee places in western Washington, we would be in heaven. Milkshakes! Oh, yes! Glad you found the molten lava cake can keep you warm after a cool milkshake. Sounds like either we meet you at the airport with a wheelbarrow or you had better plan to get out of there. No coffee in Washington? You expect us to believe that? I think not! Bring us home in the Starbucks wheelbarrow, please. Thanks. We look forward to malts in South African in November. Sure enjoy the info. We unsubscribed your old email, so you should be all set! Let us know if you don’t get the newest blogs as they come out (hopefully one more before Mongolia). Are you going to S. Africa, too? Wonderful! Let us know if we can give you any thoughts from our visit.